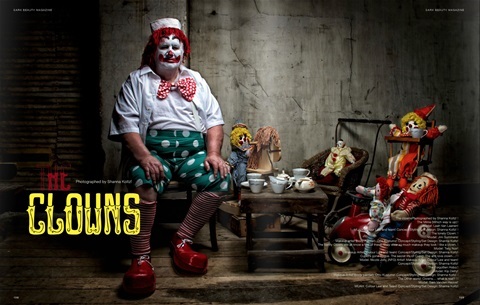 This page is the CLOWNS (part One)... it was published in Dark Beauty. The clowns is an on going shoot for us... There are always more clowns to be photographed. 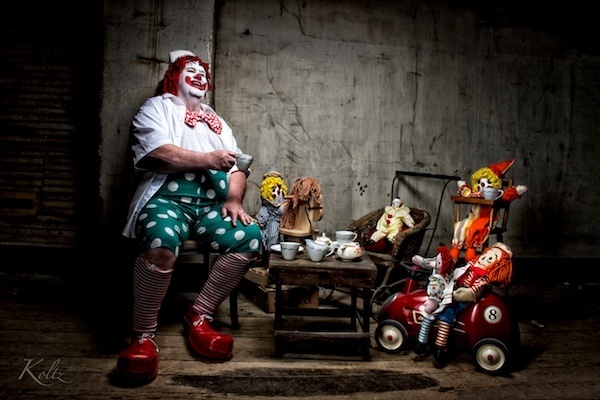 I will update this page with additional clowns (that have not been published yet) as well. Stay tuned for more CLOWN MADNESS closer to Halloween this year. This is a sample of one of my latest projects titled THE CLOWNS. This was a fun project and planning for part two is currently taking place.Stay tuned for The Clowns part 2. 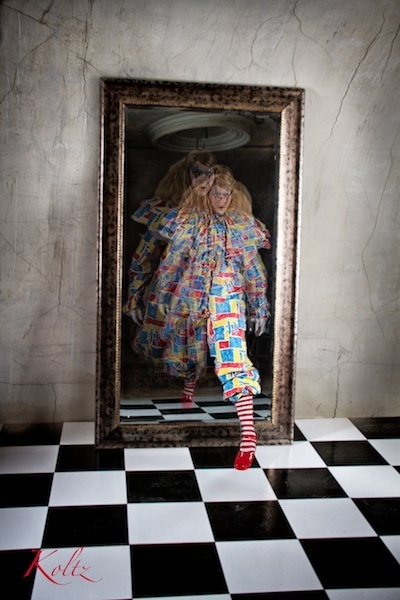 These images are from the clown collection part 1. Featured in Dark Beauty's Halloween edition Tricks and Treats.Oct. 2014. 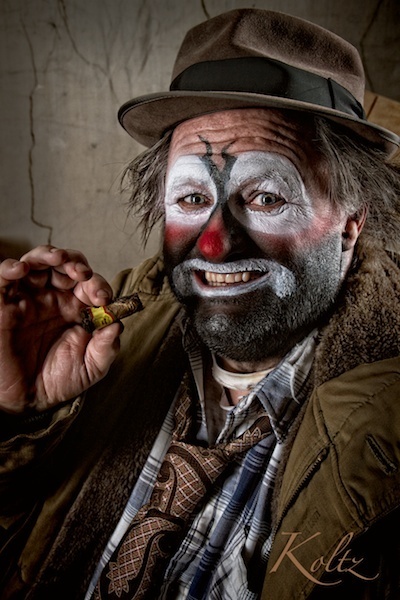 This first image is the hobo.. the forgotten clown. The scariest clown of them all is the everyday man... with a hidden desire to play dress up with his clown dolls in the attic. 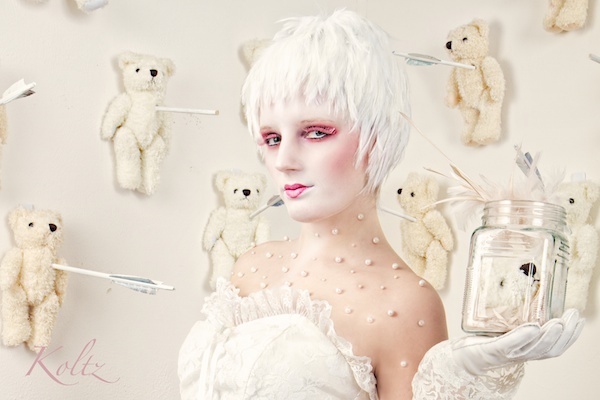 What happens when cupid gets pissed off? She becomes an anti love clown. facebook you can find my at Shanna Koltz, Koltz Photography or Studio Rouge (they are all me and my work).